I attended #MarchForOurLives to take some photos for The New Teachers Project. I had more than a few moments of tears, and I'm sure there will be more as I cull photos for my photo essay. In the meantime, here are some highlights. My full gallery is here. "The Right to Carry" with a drawing of two kids holding a coffin. One wears a Columbine jacket, the other a MSD jacket. This one broke my heart. March for Jaelynn. She was shot in the days before the march at her school. Names and stories from Sandy Hook and Columbine. National Geographic covers, "the only magazines that should belong school" being held by Maggie, a senior. Kids asking to think about prom, not funerals, not shootings. 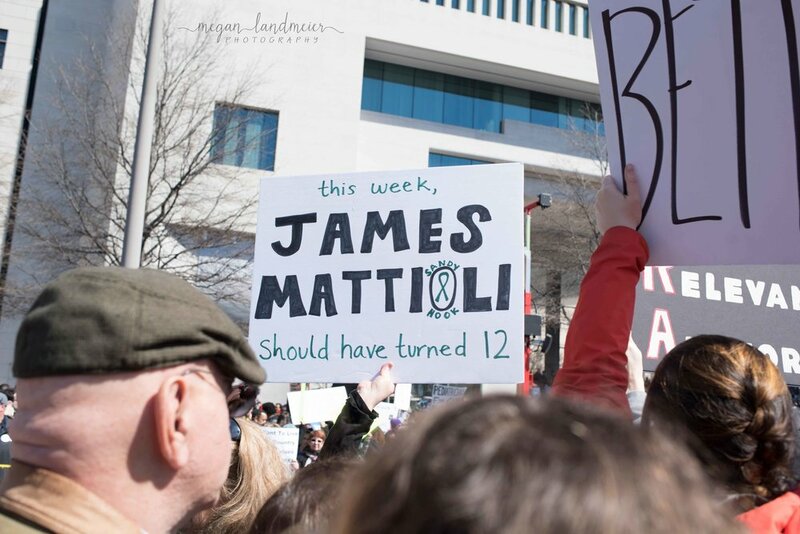 They carried so many heartbreaking signs, and also powerful signs. "You're going to wish we never got off our phones." "Stronger Together." "Enough."